Deputy Minister of digital development Oleg Ivanov on April 4 during a speech at the state Commission on radio frequencies, which discussed the issue of frequency deficit, said that Russian President Vladimir Putin instructed the security Council to work on the creation of a 5G network in the range of 3.4−3.8 GHz. At the moment, this range is occupied by military equipment, which previously opposed the appearance in Russia of the fifth generation of the mobile network. This is reported by Vedomosti with reference to the four participants of the meeting. According to "Vedomosti", Ivanov plans to find a compromise between the requirements of Telecom operators and security forces. 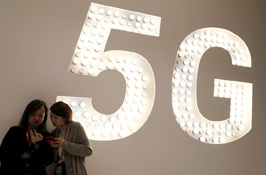 Frequency 3.4−3.8 GHz is the base for the creation of 5G and, as the publication notes, the operators have suitable equipment for the use of this range. The representative of MTS informed Vedomosti that this range provides maximum coverage and high Internet speed. However, the defense Ministry, according to the newspaper, oppose such a decision and ask not to rush with the use of these frequencies. According to the Federal official, Vedomosti reports, satellite communications of several agencies, including the military, operate at frequencies of 3.4−3.8 GHz. As a result, a conflict is brewing, because if, the newspaper emphasizes, the security forces will not give this range, 5G will not be able to work in full force, therefore, it will be impossible to work unmanned vehicles, telemedicine and not only. In addition, the existing mobile communications will increase the load, which will affect their speed and quality of services, the source of Vedomosti added.